Deserts may not seem like the most interesting physical feature of our planet earth to get to know more about. But did it ever occur to you that there are several types of these mass seas of sand? Guess not! Here are some interesting types of deserts. So what type of desert is the Sahara? Winds on the equatorial sides of the Horse Latitude bring in to collect the heat on its way from the equator. These dry heated winds blow off the cloud cover in this area which makes the heat of the sun stronger on land. The Sahara in North Africa is a trade wind desert and reaches up to 57ºC in temperature. The cool winds that come from parallel coasts are the main cause of these deserts. The lovely amber deserts in Oman are an example of this. Book hotels in Oman with websites like Oman Hotels & Tourism Company and find opportunities available to stay in one of these deserts to observe its beauty. The coastal deserts are often subject to winter fog too. 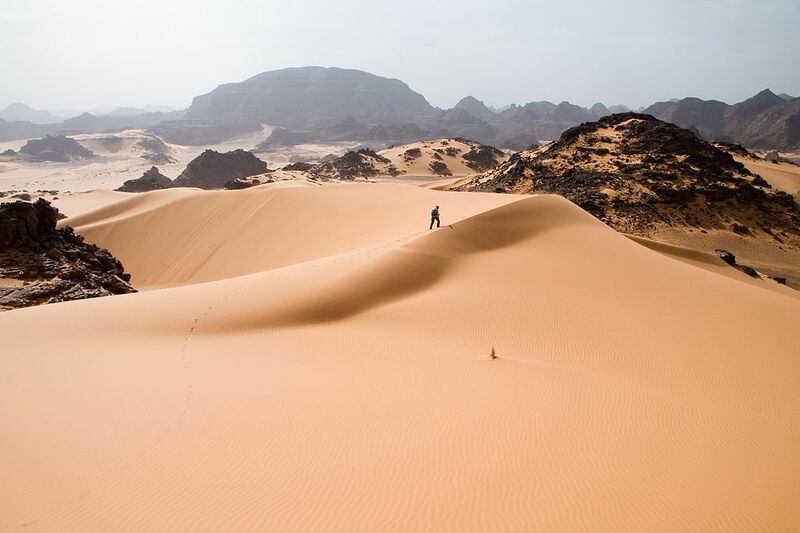 The warmest temperature in this type of desert is well below 10ºC! Yes, it is a desert, these polar deserts are found in the Antarctic and spread out over 5 million sqm of bedrock! Rather than dunes of golden sand, you will find a sea of stark white snow. Deserts are not found only on earth, no, extra-terrestrial deserts are found on other planets. Mars has many deserts too that are caused due to the winds there as well. In Mars, it is seen through satellite images that the sand dunes here are crescent-shaped. Next Post Here’s why you should visit Bangkok – A city that never sleeps!